Tailored fluid management from a single source - how does it work? From 12th to 15th of November 2018 in hall 8B, booth H07 we will show you how we accompany system solutions from the idea to the development to the production, so you can focus on your core business. One and the same system solution that controls fluid management for two completely different applications. This is possible because the demand on the respective solutions is the same, in this case precise dosing of tiny quantities. Learn more. Flexible and hygienic method for precise filling of liquid media in small and varying quantities for medical or laboratory technology, pharmaceutical industry, food production. In the case of newborns, respiration must in some cases be supported by intensive care medicine. 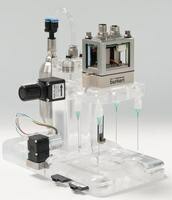 See how we support medin® in the exact measurement and control of gas volumes with high-precision proportional valves. You do not have a COMPAMED ticket yet? 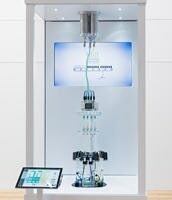 Cost efficient and flexible fluid analysis systems by modular designed and universally applicable dosing units - BioSystems S.A. relies on Bürkert´s know-how and quality products.